Discussion in '2019 Recruiting Class' started by OSUBasketballJunkie, Mar 2, 2019. 24/7 is listing an OSU offer for Dikembe Diallo but not sure that’s accurate..
Was told 2019 7-footer Ibrahima Diallo was offered by Ohio State during his visit over the weekend. He's also visited Pitt. Buckeyes have one spot available in the 2019 class. I like our chances here. Potential RS next season essentially making him a ‘20 recruit. We need another post player that is obvious. I like that the kid is raw and very athletic. He was a soccer player who just outgrew the game. Story reminds me of Hakeem Olajuwon. That worked out. Now, I highly doubt he becomes Olajuwon or Embiid, but you just never know how a kid like this develops. Definitely worth the risk. 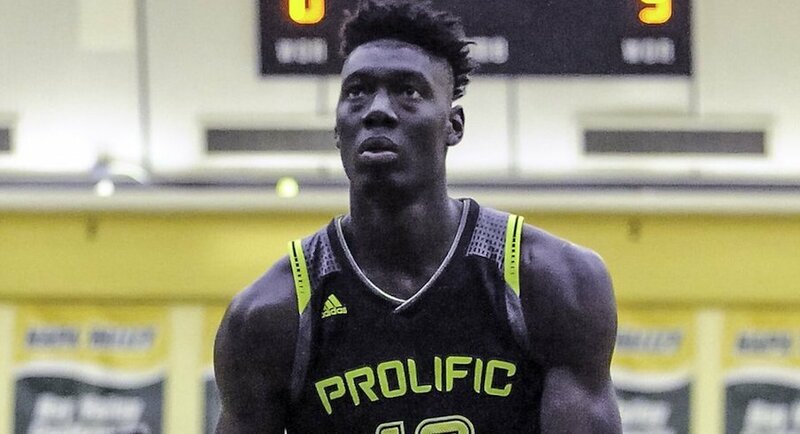 Prolific Prep senior big Ibrahima Diallo is down to a final-two: Pittsburgh and Ohio State, he tells Stockrisers and Prep Hoops. Quick hoops recruiting note: Chris Holtmann is out in California today to see 2019 center Ibrahima Diallo. Is it time for the grinch to get off the side of the milk carton and make an appearance soon? Have a feeling we might get some news today. Not long ago, Ibrahima Diallo planned to have his recruitment wrapped up by the end of March. Nearly a week into April, though, he still hasn't made a decision between Ohio State and Pittsburgh, his two finalists. Diallo, a 7-foot defense-first center with a 7-foot-9 wingspan, visited both schools in the past two months and holds offers from each program. Though he initially intended to choose by now, 247Sports reported he would take "a little while longer" to make a decision. Diallo has given no public indications about when he plans to announce a commitment. He cannot sign a National Letter of Intent until April 17, when the regular signing period opens. The addition of a big man to back up Kaleb Wesson became even more of a need with Jaedon LeDee entering the transfer portal. Alabama graduate transfer and one-time Buckeye center Daniel Giddens reportedly took a visit this week. A commitment from Diallo would ease the concern about Wesson's backup, though the big man has been called raw, a descriptor Prolific Prep coach Billy McKnight clarifies but doesn't shy away from. "Normally what people are looking at when they look at that is offensively," Prolific Prep coach Billy McKnight said in March. "Yeah, OK, he might be raw offensively, but defensively he's anything but. So it's kind of one of those things where I guess it depends on what side of the ball you're looking at. Clint Capela with the Houston Rockets, he never does anything except screens and roll and dunk. Is he raw? Well, maybe. But he also understands what he's got to be good at." Diallo uses his length to alter and block shots, controlling the paint on defense. He's not a back-to-the-basket center on offense, but if the Buckeyes land him, they could get immediate production on defense.